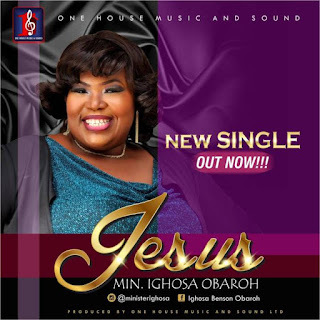 Ighosa Benson Obaroh, an anointed international gospel minister, shares her latest gospel music release titled: Jesus produced by One House Music and Sound Limited in celebration of her birthday. The birthday celebrant shares this mind-blowing masterpiece and powerful song perfect for worship and prayer session. Listen and download the song and every troubling situation in your life will bow to the name of Jesus, and don't forget to share.